This month the cooking club is featuring Donna Hay and while I don’t own one of her books, I am tempted to pick a couple of them up after perusing some of her wonderful recipes and with the vegetable stand open for the summer and fall seasons it was a no brainer choice picking up fresh corn and the local seasonal fruits for breakfast, lunch and dinner. Both recipes were easy and company friendly sides to our Greek pork kabobs with tzatziki. My advice for the corn don’t add additional salt and I used less miso and I only had red miso, it worked just fine. For the risotto I tossed in a couple of lemon quarters to cook with the risotto. Preheat a barbecue to high heat. 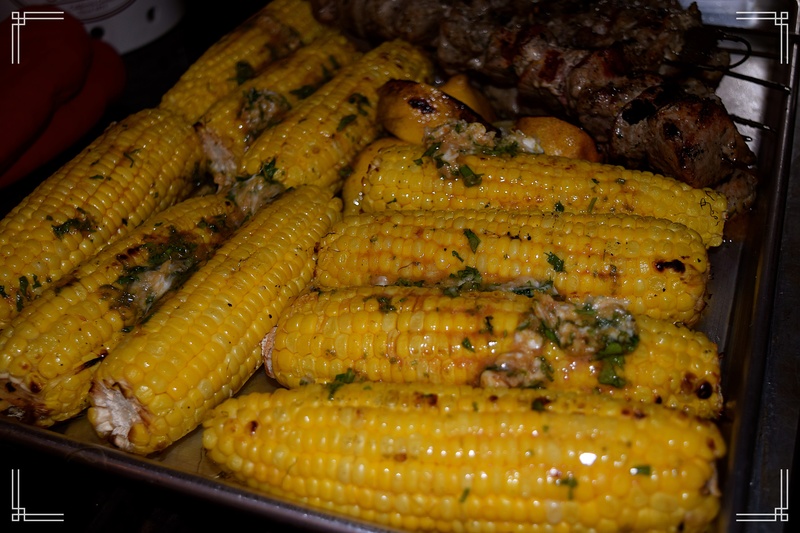 Grill the corn turning, for 15–18 minutes or until charred and cooked through. 1) Heat a large saucepan over medium heat. Add the butter, oil, and onions; cook for 6-8 minutes or until soft and golden. 2) Place the stock in a separate saucepan. Bring to a slow simmer. 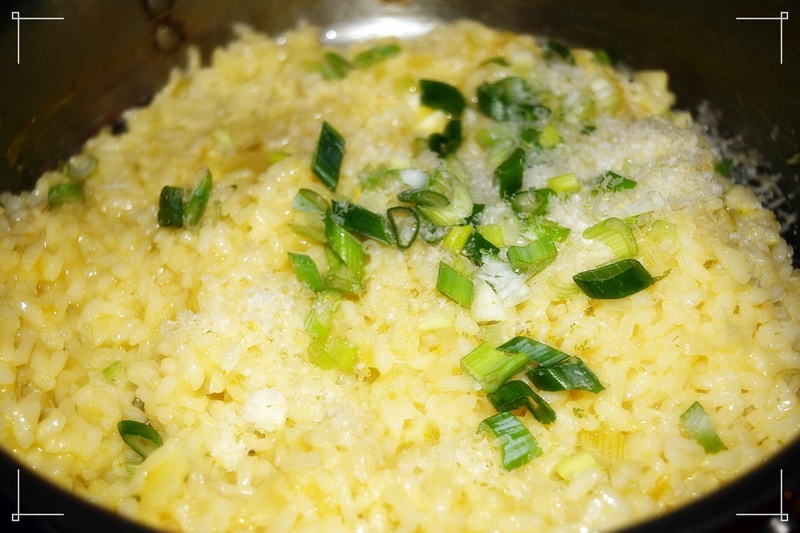 3) Add the rice and lemon rind to the onion mixture and stir for 2 minutes, or until the rice is translucent. 4) Add the hot stock 1 cup at a time, stirring continuously, until each cup of stock is absorbed and the rice is al dente. This should take 25-30 minutes.